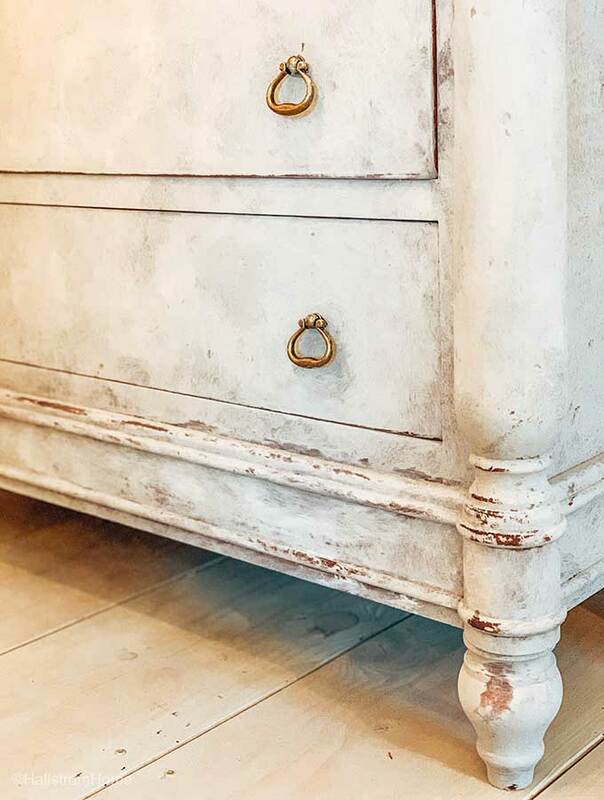 It’s been many years since I’ve painted a piece of furniture in this Swedish Gustavian style. 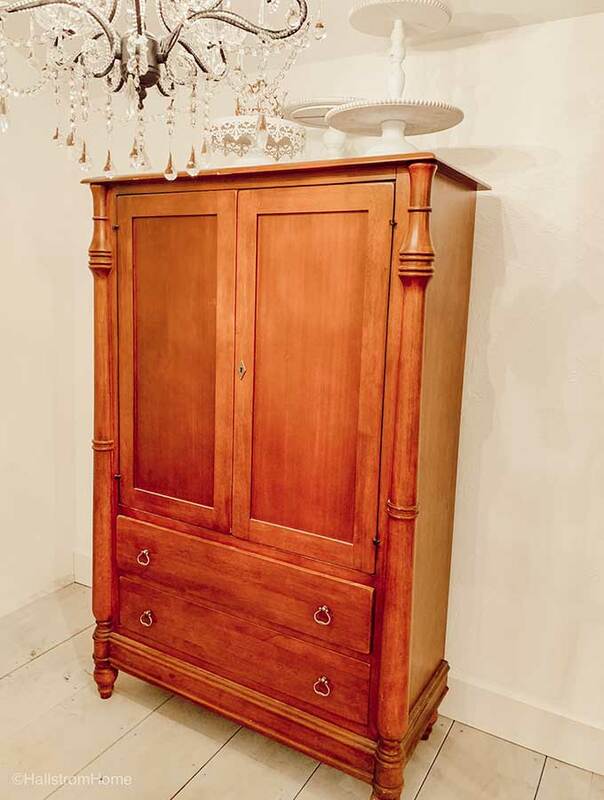 With the hygge home trend on the rise, I thought it would be fun to give this armoire a new look. 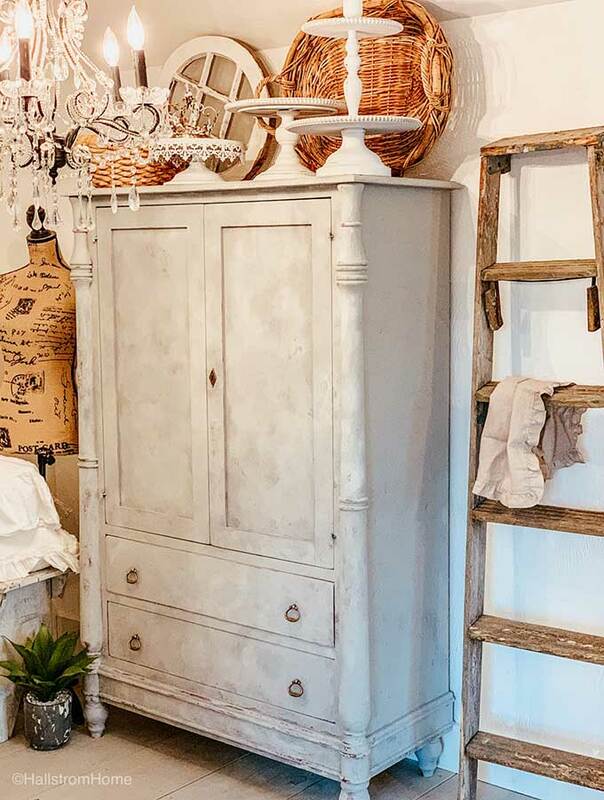 An armoire with a classy old world feel, using chalk paint and clear wax. The key to this Chalk Paint Furniture Technique is the brush and how to apply the paint. So let’s get started. Hold on before we go too far, I will also add a question and answer section at the bottom of this post. There will also be a supply list so it’s easy for you. To get started I’d recommend cleaning your furniture with TSP, which is a degreaser or use some soapy water using blue dawn dish soap. I’m going to be honest and say that most times I don’t clean my furniture. Chalk paint is so awesome to work with that I don’t have to prep my piece. I have had my non cleaning habit back fire so to be safe, I’d clean your furniture. The chalk paint I used on this piece to get the hygge home look was my homemade chalk paint. I haven’t made it for a couple years, but I didn’t have the right chalk paint color in stock. I was wanting a soft, pretty grey chalk paint and homemade can be very nice if made correctly. Check out my homemade chalk paint recipe here. You can even chalk paint on fabric, I chalk painted on a linen tea towel. It created such a French look. Start by applying chalk paint with this rounded chalk paint brush by Fusion Mineral Paints found here. This saved me. I started off with a regular flat brush but quickly realized I needed to use a stippling chalk paint technique. When doing this part I added water to the top of my chalk paint. I used about 1 tsp at a time, replenish your water as you go or when your paint looks too thick. Now dip your brush into the watered down chalk paint and then dab your paint off on a paper towel so it will go on lightly. This is a bit of trial and error to get your technique figured out. The key to this technique if the dabbing or pounce of your paint brush onto the furniture. Apply technique in small sections. I wanted a little wood to show through so that’s why I didn’t over load my paint brush. 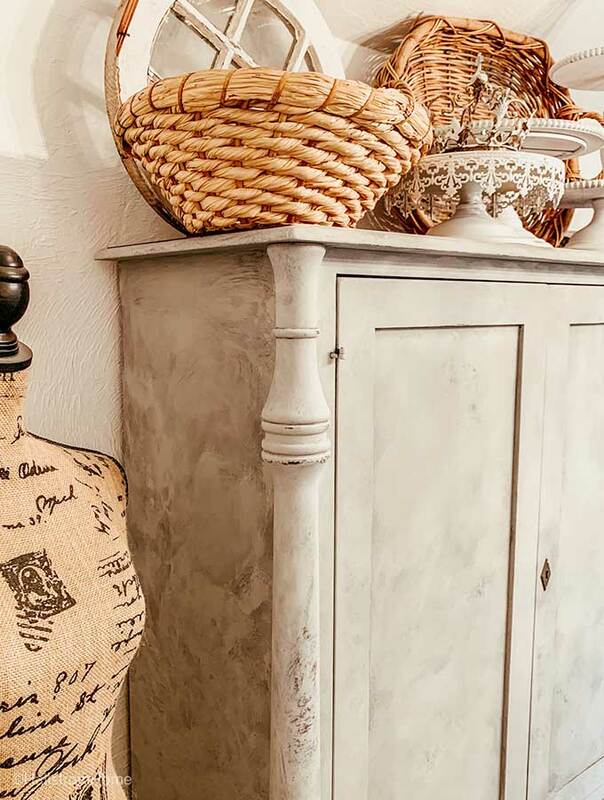 This chalk paint technique does take longer than brushing on, but it’s worth it to get this old world Swedish look called hygge home. Find out more about this hygge home style trend here. Once you have your piece covered and it’s dry expect maybe 30 minutes to finish drying. Your room temp will play a roll on the dry time but it’s generally pretty fast. Now it’s time to add the last layer of white paint. I went with a off white chalk paint by Dixie Belle called Drop Cloth. We use this color a lot on our mirrors. Again apply this chalk paint like you do your first layer. Make sure you’re working in small sections so you can get the blending to come out nicely. 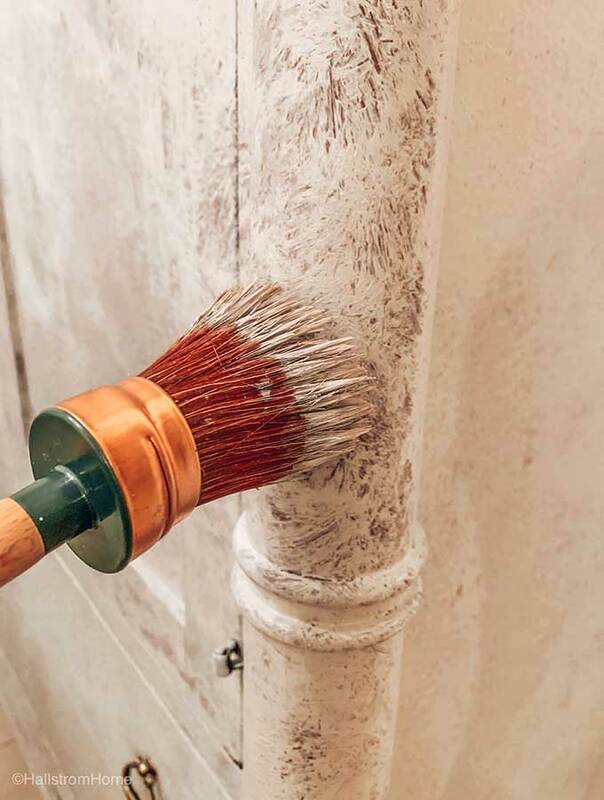 While the paint is still wet grab a wet wipe or damp paper towel, rub the edges and any details that you want distressed. I wouldn’t use sand paper with this Swedish chalk paint technique or you’ll get the base wood color showing through verses the stained wood. Now that you’re finished apply a clear wax. I would add one table spoon of mineral spirits to your clear wax so that it’ll go on smoother. This is one of the biggest tips I can give on clear waxing. Apply your clear wax with a rag or wax brush. So what do you think? Are you ready to give this a try? I’ll give you a list of tips below. If you are still unsure of doing this project, I have a chalk painting ebook available. It will be available to you forever after your purchase, you can download it and print it all at home! I also want to talk about the piece that inspired this chalk painting furniture technique in Swedish Gulvastain style. I follow Loi from Tone on Tome Antiques on Instagram. He’s an incredible designer and shop owner on the East coast. His style is classic and impeccable. One day he posted this desk and instantly I knew I needed to recreate the look. Here is Loi’s about page, check out all the amazing things he has done with his business. Tone on Tone, founded by Loi Thai, specializes in residential interior and landscape design from concept to completion. Whether a new build or historic renovation, let us collaborate with you to create the home and garden you’ve always wanted. We have projects in Washington, DC, Maryland, Virginia, Connecticut, New Jersey, New Hampshire and Maine. Loi left a career at the Smithsonian Institution to open his shop Tone on Tone, which became a premier source of Scandinavian and Continental European antiques for designers, collectors as well as retail clients across the country. He is a respected authority on Swedish painted furniture – his inventory has graced magazines from Architectural Digest to Veranda. 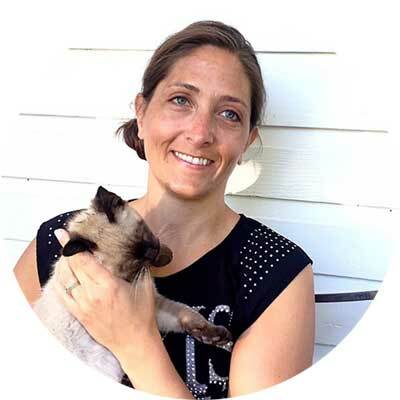 After 15 years, Loi closed the shop to focus full time on design work. Our signature look brings together the sophistication of antiques, the comfort of livable furnishings, and the serenity of a neutral palette. We are celebrated for our ability to combine pedigreed pieces with everyday finds for a point of view that is exclusive yet approachable. 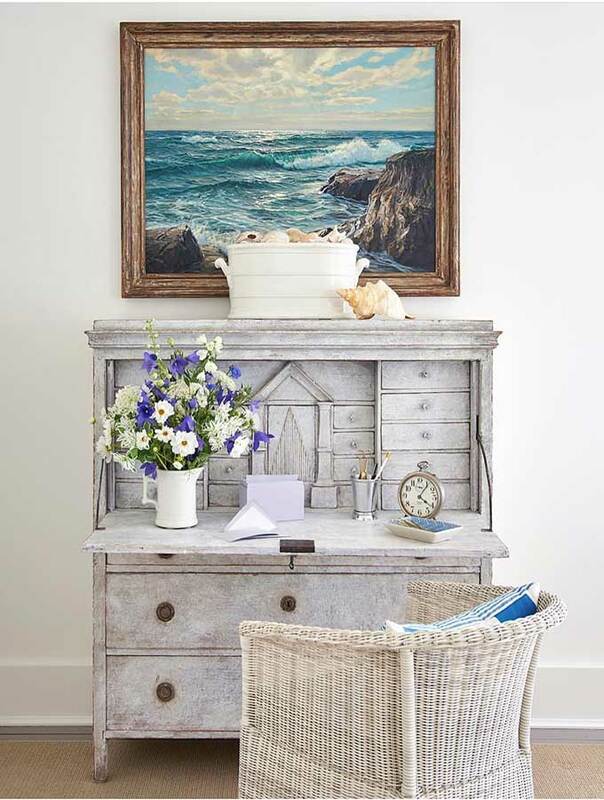 Published works have been featured in such magazines as Traditional Home, Martha Stewart Living, Southern Living, Southern Home, Country Living, Country Home, Maine Homes, Washington Post, and many more. Do you have to sand your piece? If my piece has a shiny layer I do like to do a light sanding. It is just to be sure that the paint will adhere well. I did not sand this piece. Can you use a paint roller? You can use a paint roller with chalk paint. On this particular product I would not since it is smaller. But if you are chalk painting wood floors like I did, I would use a paint roller. 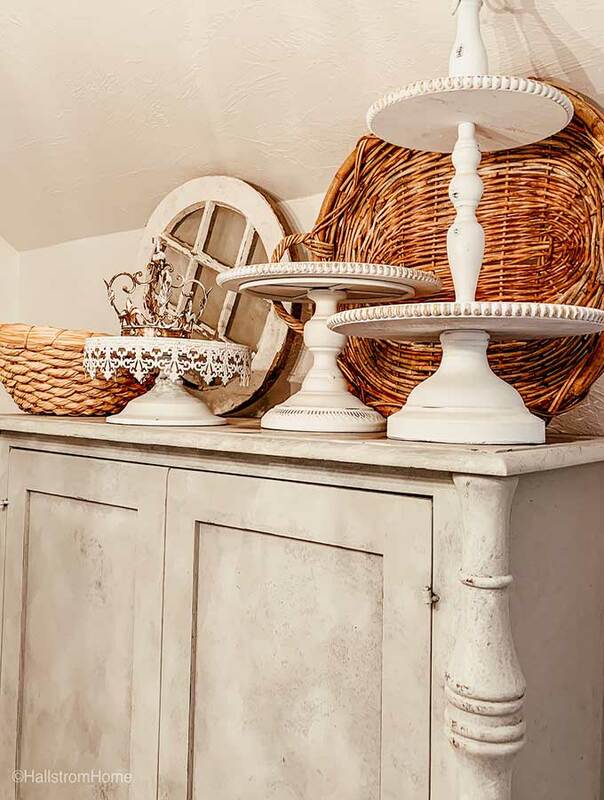 Chalk paint is just a type of paint that gives furniture and other pieces a chalky finish when dry. 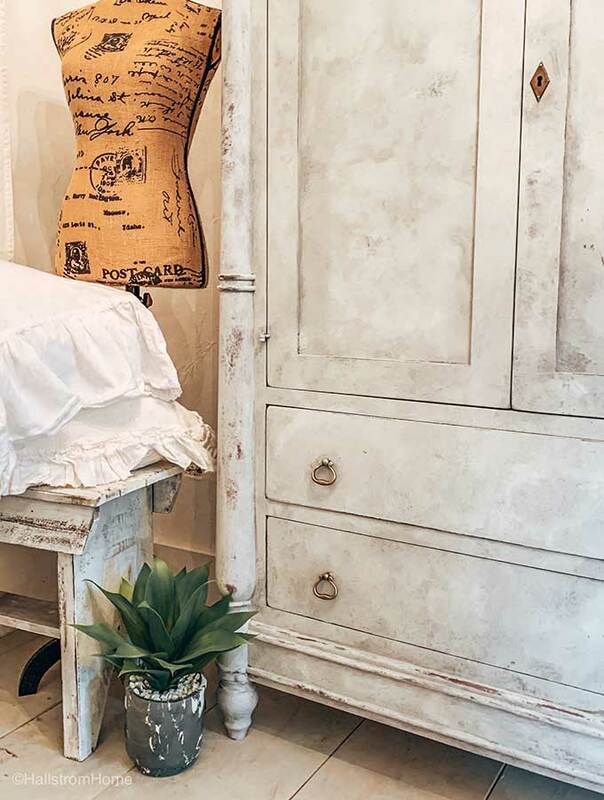 It is great for creating an aged look and distressing a piece.